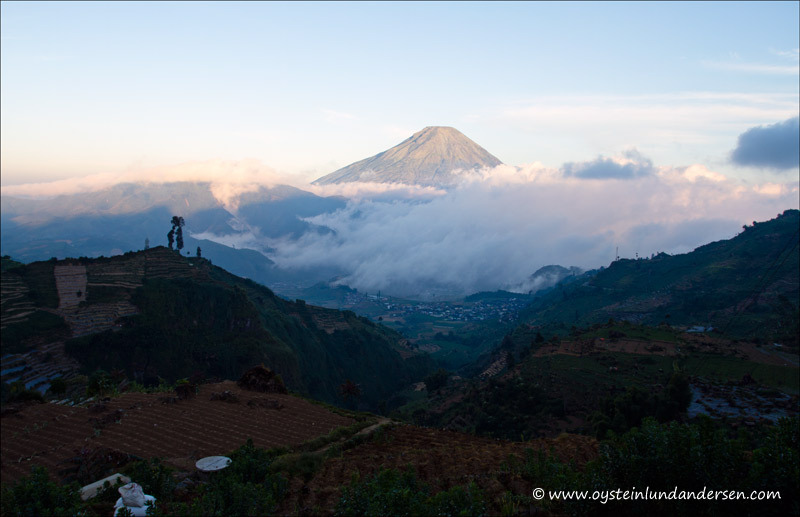 Location:Central Java, near the Dieng Plateau. 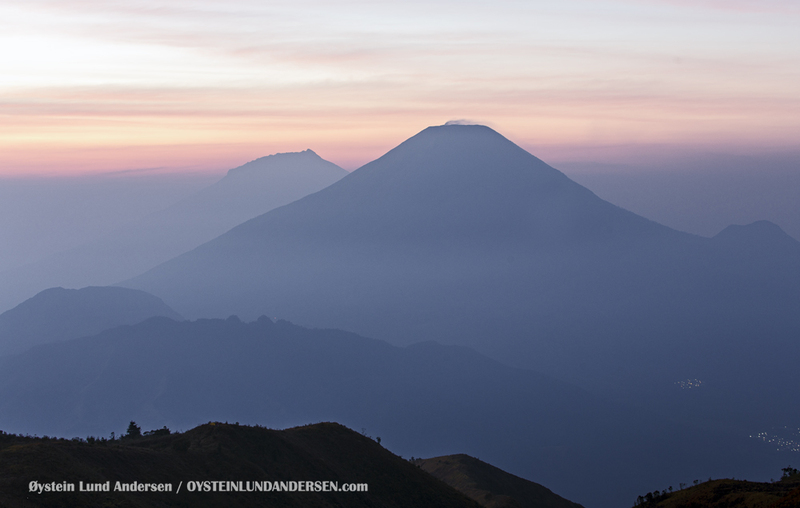 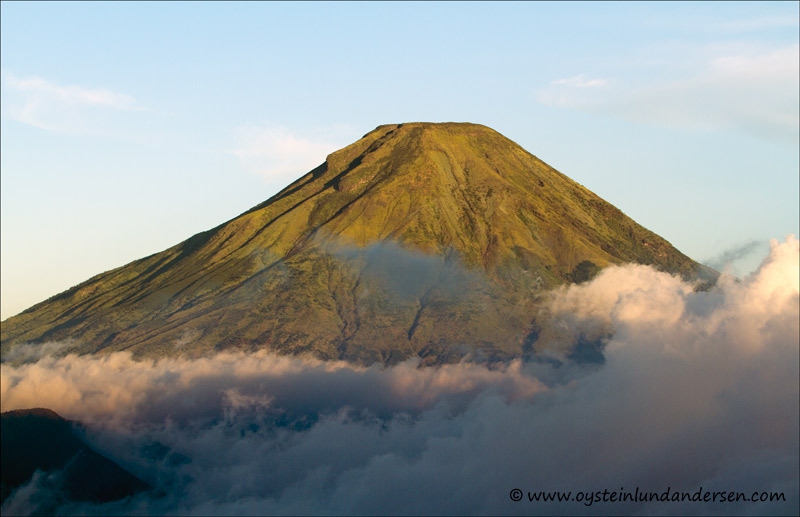 Mount Sindoro (or Mount Sundoro) is an active stratovolcano in Central Java, close to the Dieng Plateau, in Indonesia. 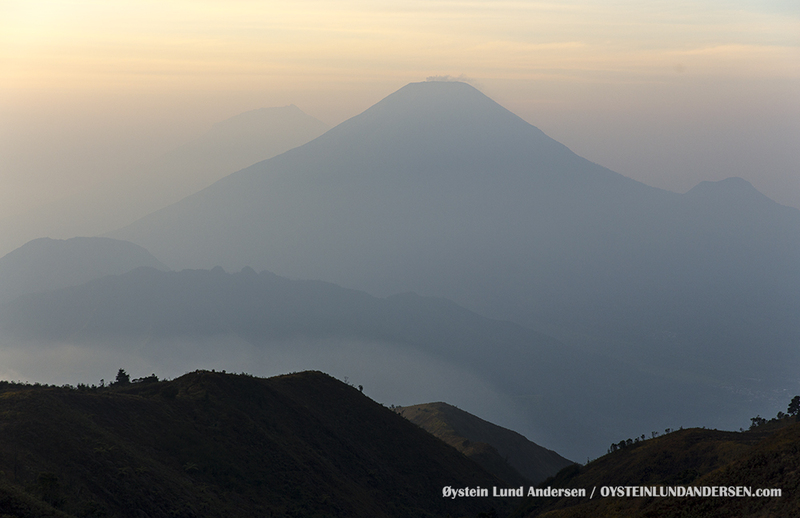 Parasitic craters and cones are found in the northwest-southern flanks; the largest is called Kembang. 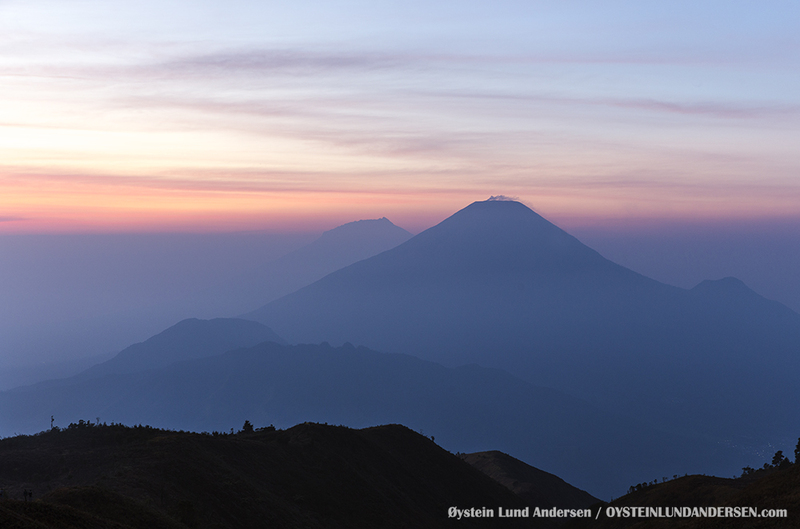 A small lava dome occupies the volcano’s summit. 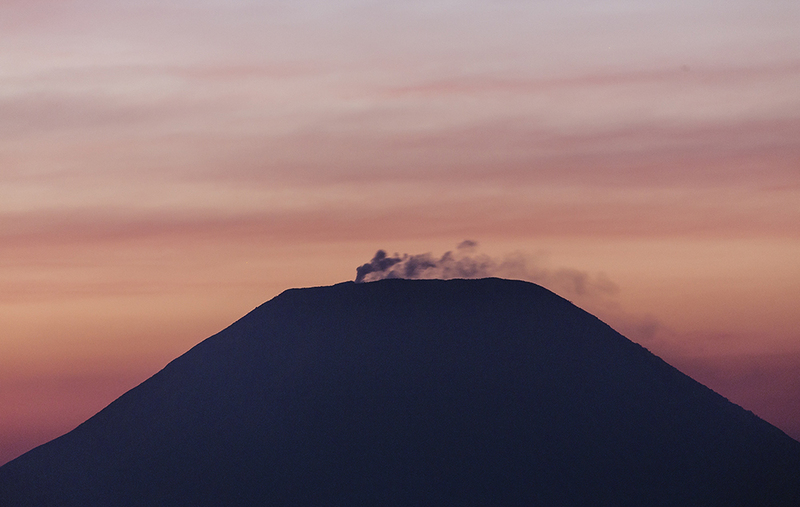 Sindoro seen emitting a steady plume of steam. 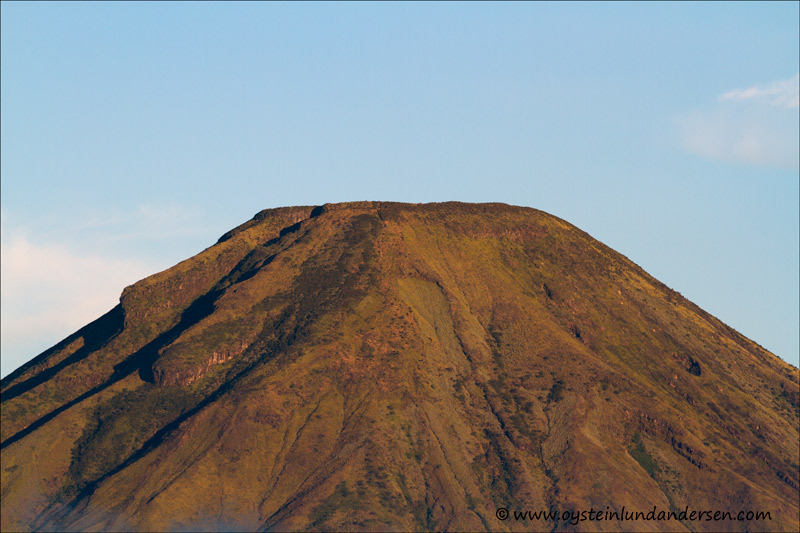 The volcano havent erupted since 1970 according to the Smithsonian Institute. 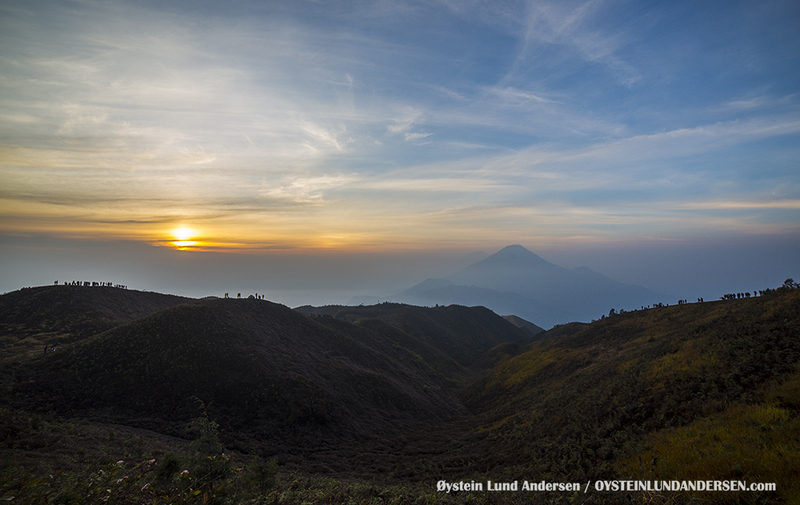 This is the first time I have seen gas emissions from the volcano, and I have seen the volcano every year since 2012, from either the Dieng Plateau or the Yogyakarta region. 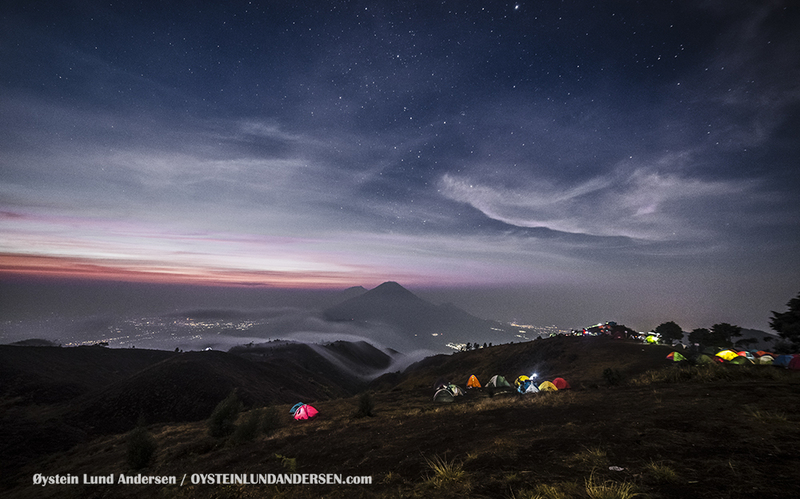 Sindoro seen from the Dieng Plateau. 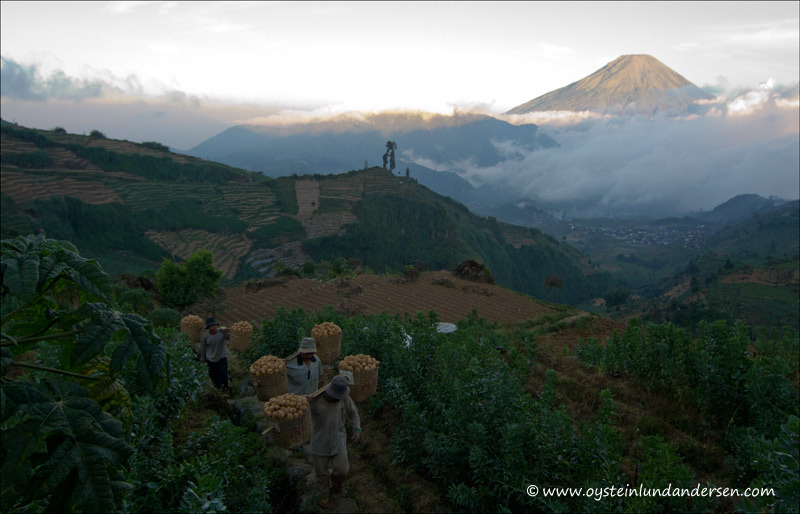 Farmers return in the afternoon with the potato harvest of the day, Sindoro in the background.